The Ministry of Health and Child Care seeks to achieve equity in Health by targeting resources and programmes to the most vulnerable and needy in our society. 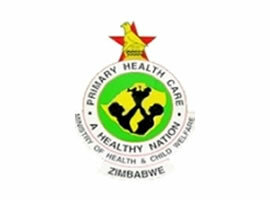 The Primary Health Care approach will be the main strategy for health development. Priority Health problems will be identified and resources will be targeted to alleviating those problems. The Ministry will seek to provide high quality care which is accessible and appropriate. To keep as many people as possible in good Health in the Community. To provide appropriate quality services for those needing care in the community. To provide high quality hospital services at the appropriate level for those requiring that form of treatment and care. Ensure value for money through efficient and effective services. Plan and manage its resources effectively. Form strong links with the community at all levels in the delivery of appropriate health services in acceptable ways. Mobilize more resources for the Health Sector whilst ensuring their optimum utilization.